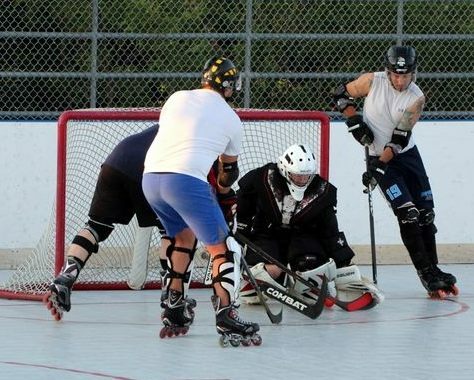 The Bermuda Ball Hockey League season is now on their Christmas break and will return to regularly schedule games in January 2019, so www.islandstats.com will now bring you updated Standings for the League, Points Scoring Leaders and Goalkeeping Stats. The Calgary Hitmen are the League Leaders with 20 points, Guelph Storm are in second with 18 points and the Kelowna Rockets are in third with 15 points. Jeff Morash from the Calgary Hitmen is the League Leading goalscorer with 13, only one other player is in double figures with Christopher Merritt finding the back of the net 10 times. In the Assist Department Ross Rufiange from the Calgary Hitmen and Jeremy Estey from the Red Deer Rebels both leading the Division with 11, Bill Calko from the Kelowna Rockets is second with 9 assist. In the Goalkeeping Department, Yves Paul from the Guelph Storm and James Hall from the Rimouski Oceanic are the leaders with 2.00 goals against per game, while Dave MacPee also from the Guelph Storm and Derrick Holmes from the Calgary Hitmen both are averaging 2.50 goals per game.